The Club decided to donate all the prize money of £804 to MacMillan Nursing. Genevieve Drinkwater, Fundraising Manager for Somerset, said the money was really needed. “This helps to fill the gap between what we spend and income and the need is growing. We give grants to patients’ families as well as employing nurses,” she said. More people are surviving cancer and cancer will have doubled by 2030. 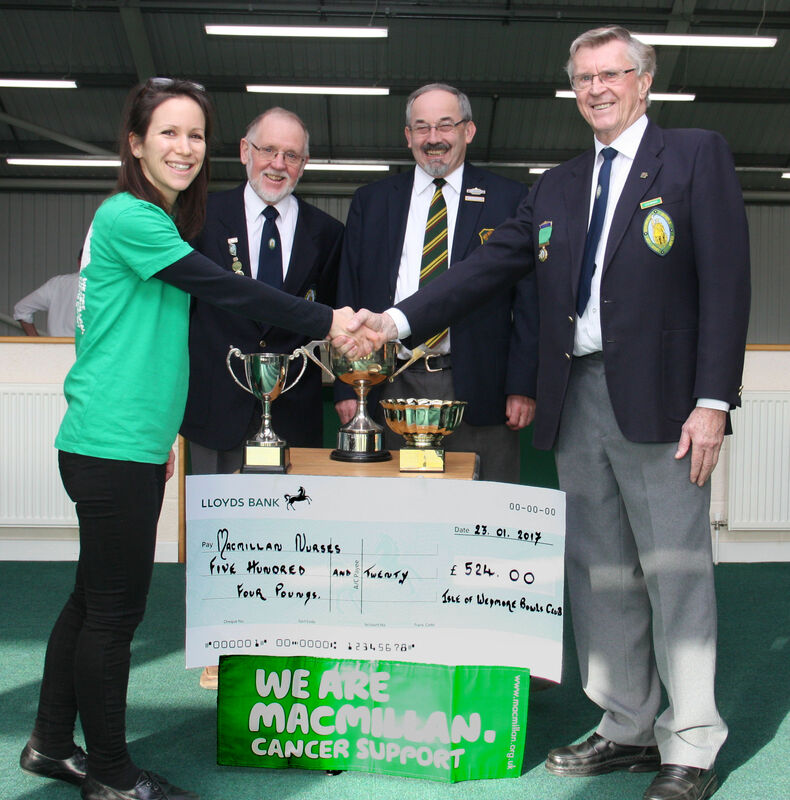 Pictured left to right Genevieve Drinkwater of Macmillan Nursing, Alan Birch Club Captain, Roger Spragg, Secretary, Clevedon and District Bowling Association, Brendon Cottrell, Club President.